The beehive is one of the most ordered systems in the natural world: the queen bee lays eggs, the worker bees focus on pollinating and hive maintenance. But within the hive, a shift can occur that drives worker bees into sexual, murderous rampages that often end in the death of their own queen. 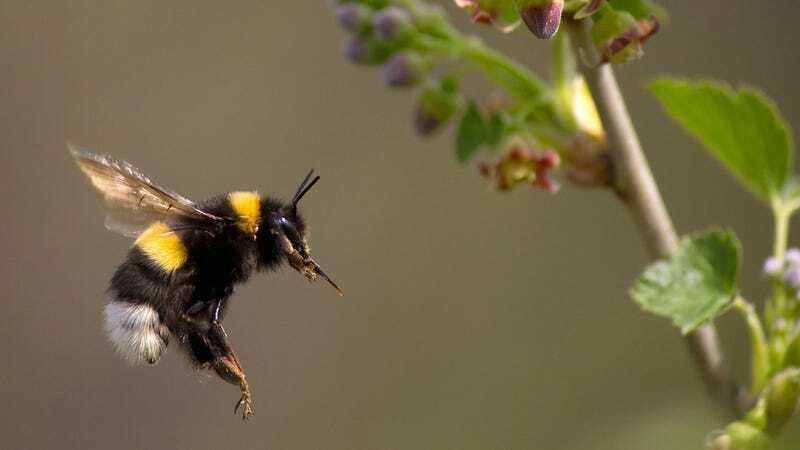 In a new study published in Royal Society Open Science, researcher Anne-Marie Rottler-Hoermann, of the Institute of Evolutionary Ecology and Conservation Genomics in Ulm, Germany, explores the real secret life of bees—particularly what makes them snap and go reproduction and blood crazy in what scientists call “the competitive phase.” The competitive phase can occur suddenly, with the hive going from absolute order to complete chaos in a matter of hours. “We suggest that wax scent enables workers to time their reproduction by providing essential information concerning the social condition of the colony,” Rottler-Hoermann writes. The ensuing competition, it turns out, is brutal, with bees tearing each other—and existing egg sacks—apart wherever they can. And it’s all because of developing ovaries! WOMEN, am I right?! You can read the entire study here. You can witness the destruction in Bee Movie 2: Game of Combs.